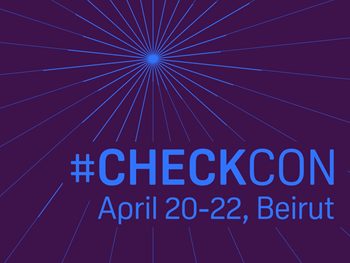 The annual CheckCon event, part of the long-running Check project, will return this April for a two-day conference in Beirut. Taking place from April 20-22, the conference will celebrate the sixth anniversary of the Check project by assessing the future of media, technology and social impact in the Middle East and North Africa (MENA) region. The conference builds on five years of work on the project in Lebanon, Syria, Egypt, Jordan, Palestine, the US and the UK, bringing together speakers and participants from Check partners’ network. It will also unite grassroots media collectives, digital technology enthusiasts, professional journalists, and media students and scholars from across the Arab region, who will reflect on the experiences, challenges and successes learnt since 2011. The event will start on Thursday 20 April with a launch and reception, beginning at 7pm. The following day will see discussions, speeches, presentations and workshop sessions, delivered by a range of academics, journalists and activists. The Saturday will be the conference, with the content and structure to be decided by all participants at the start of the day. Participation on the Saturday is open to the general public.